Each year, the New Orleans Jazz and Heritage Festival promises to be a one-of-a-kind immersive experience for both musicians and music lovers alike, and it doesn’t disappoint. Not only is the festival itself stacked with world-class performers, but the incredible after parties feature insane collaborations that don’t stop until the sun comes up. This year, we were blown away by the outcome, and honored to have so many LOCKN’ ‘Lumni and future rockers make the journey to musical mecca. Check out some awesome moments to get you excited for LOCKN’! 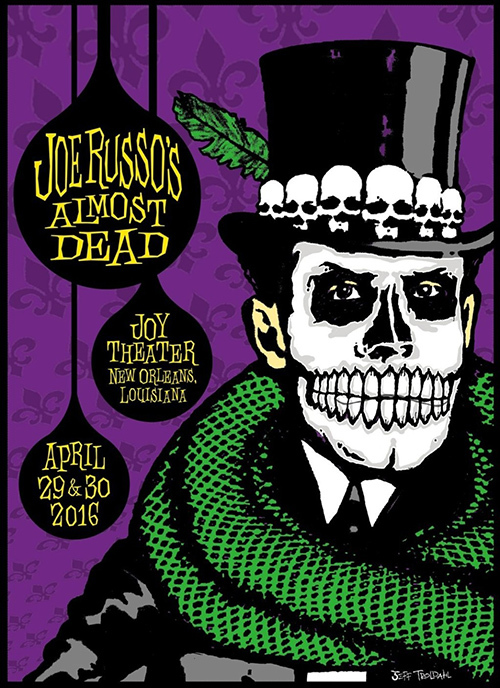 On April 29 and 30, Joe Russo’s Almost Dead played two sold out shows at the Joy Theater, performing with the supreme energy and enthusiasm that they are known and loved for. With Marco Benevento unavailable, fellow keyboard wizard Jeff Chimenti joined the fun. With Joe Russo’s Almost Dead, the band is always reaching for new heights, pushing the envelope, and trying to bring something new and exciting to the table. These shows solidify that the table at LOCKN’ will be filled with tasty jams to feast on. Did we mention they’re playing TWO late-night sets? Game on. Galactic performed not once, not twice, but four times over the course of four days. Not only did they play on the Acura Stage on Saturday, April 23 at the Fairgrounds, they played 2 shows at the legendary Tipitina’s, and another banger at the Orpheum Theater. In typical Galactic style, plenty of special guests and overflowing energy made these shows beyond magical. Watch their set on Saturday, April 23 below. We couldn’t be more excited to experience their funky boundless energy this August! If you didn’t already know, Vulfpeck can throw it down with the best of them, and when The Soul Rebels and Vulfpeck came together on Saturday, April 23, well, it just couldn’t get any better. Watch a clip of the two bands giving fans a soulful funky dance party of epic proportions. Like many LOCKN’ ‘Lumni and future ‘Lumni, Turkuaz played multiple nights during the NOLA festivities. One show in particular, a tribute to The Band, surely brought tears to the eyes of many. The Brooklyn power funk outfit are no stranger to a good cover, and their energy alone can blow down walls and break down barriers. Watch them cover “Up On Cripple Creek” on Tuesday, April 26. Are you ready to get funk’d up yet? For what one can only describe as a dream show for funk enthusiasts, LOCKN’ ‘Lumni Lettuce came together with soon to be ‘Lumni Vulfpeck for a night of raw power and grooves that never let up. Check out a clip of Vulfpeck and Lettuce’s Adam Deitch performing “It Gets Funkier.” This video also showcases the hilarious antics that Vulfpeck is known for, and we’re hoping we get some of these outrageous live-action hijinks at this year’s LOCKN’. My Morning Jacket was joined by the Preservation Hall Jazz Band for a song that is one of Prince’s definitive anthems. They honored Prince by playing “Purple Rain” at during their headlining show on Friday, April 29. Since the start of their 2016 tour, MMJ has paid tribute to Prince by covering a few of his legendary songs at each stop, and this performance was exceptionally touching. As Brandi Carlile began her set at Jazz Fest on Thursday, April 28, she announced “This is a big day, my friends,” explaining that it was her first time performing at the historic festival. Carlile did not disappoint, and she sang her way into the heart of the audience, with her voice flowing gently and free. Watch her beautiful performance below. 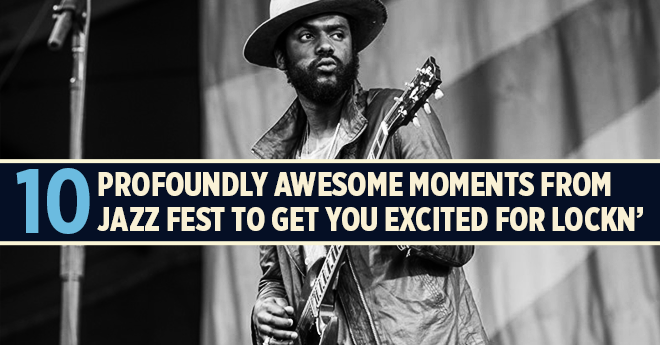 On the afternoon of Thursday, April 28, Gary Clark Jr. lit up the Acura Stage with extended jams and ripping guitar solos. 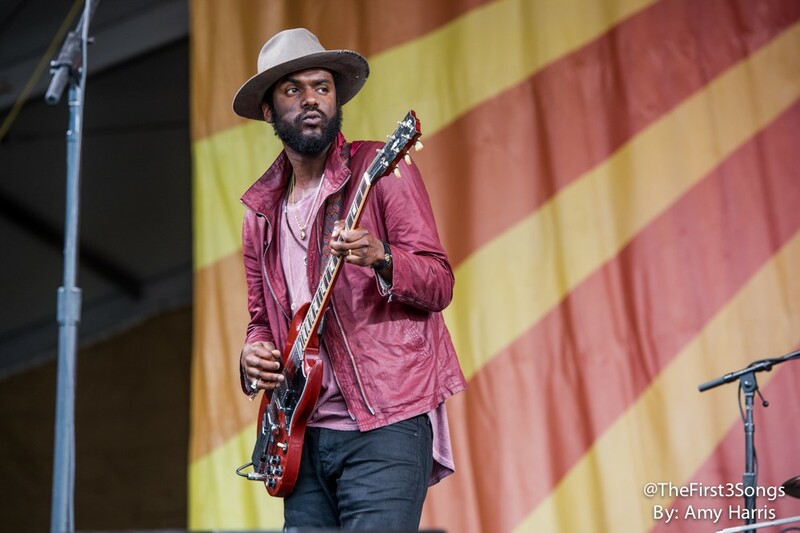 The tight playing from Gary Clark Jr. is always best in a live setting, and when his enormous talent is allowed to feed off the audiences’ enthusiasm, pure magic is made. Fans were treated to songs like “Next Door Neighbor Blues” and “Travis County,” and his set saw one of the biggest crowds of the day.We’re overflowing with enthusiasm about his set at this year’s LOCKN’. LOCKN’ ‘Lumni Tedeschi Trucks Band made their return to Jazz Fest for a show that was billed as “Tedeschi Trucks Band & Friends.” The colossal talent of Derek Trucks and Susan Tedeschi individually, and as a whole, is all the more evident when they are allowed to feed off their fellow band members and special guests. The tight playing the group has become famous for is a music lover’s delight, and TTB never fails to deliver serious, smooth, and soulful jams. Joined by Stevie Ray Vaughan’s brother Jimmie Vaughan, and Billy Gibbons of ZZ Top, their show at Jazz Fest featured incredible covers and excellent jamming. 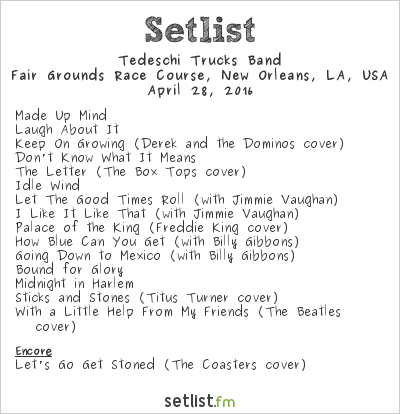 Check out the setlist! Dean Ween and fellow Ween member Dave Dreiwitz had the crowd at The Howlin’ Wolf in a complete uproar with absolute brilliant, pure energy rock. The band played a handful of Ween songs along with a cover of Jimi Hendrix’s “Are You Experienced?” Dance floor real estate was hard to come by as the packed crowd bounced to the music. With so much anticipation surrounding Ween’s shows at LOCKN’, this show was just a taste of things to come.